I love my Lady and am so glad she welcomed me into the pack. I was just a youngin’ at only 6-months-old when I needed a home, but these days, I am pushin’ bein’ a senior WOOF! Since I was adopted years ago, my Lady has also adopted more of us pups into the pack, including a couple senior dogs. Then, of course, Sallie has been with my Lady for years. Well, did y’all know that November was adopt a senior pet month? 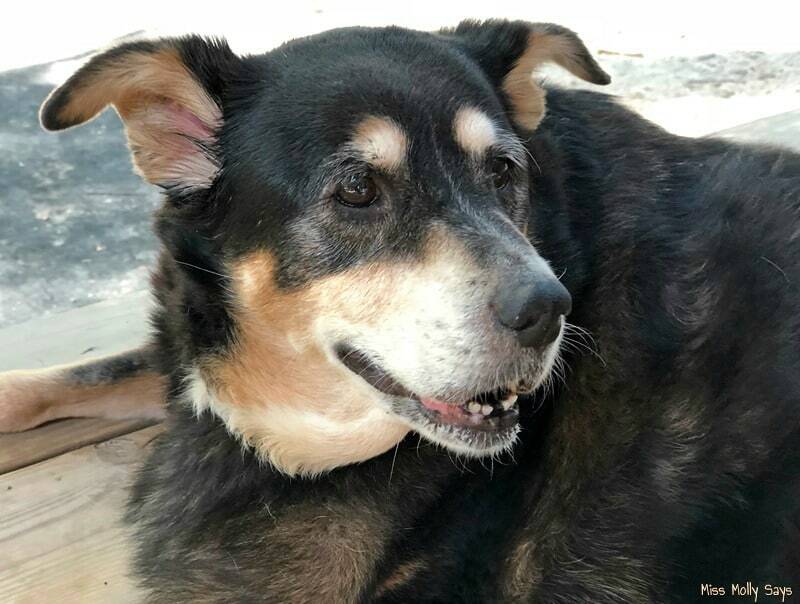 My Lady says there are many Benefits of Adopting a Senior Dog and we wanted to tell ya ’bout em and discuss how you can fight the effects of aging. My sister Sallie is gonna see her 14th birthday this month! That seems ancient to me WOOF! She may be old, but she is still goin’ strong. And, gosh darn it – my Lady is always a fawnin’ over how sweet and lovable she is! It makes me down right jealous! Lemme fetch my Lady to tell ya more about why you should consider adopting a senior pet and how to keep em healthy and happy! I will be the first to admit that puppies, and puppy breath, are amazing and who can resist them?! On the other hand, senior dogs rate right up there with them! There is something to be said about the love of an old dog! Puppies are cute and adorable, but goodness are they a lot of work! An older dog, or especially senior dogs, have many benefits that should be considered. I’ll be honest and tell you that years ago I use to think that I needed a puppy so they would bond with me. Over the years and through adopting multiple dogs of different ages, I have learned differently. Older dogs and seniors are a blessing in disguise! You get to skip the terrible two’s, the hyperactivity, the chewing stages, and most are already potty trained. You get to relax and just enjoy their great personalities. Adopting a senior dog is one of the best things you can do! They have so much love to give and will lavish you with unconditional love and joy! One of the many benefits of adopting a senior dog is their energy level. Senior dogs still love to go for walks and play fetch, but they no longer have that frantic puppy energy that gets them into trouble and wears you out. It is much easier for busy families to manage their exercise requirements. Of course, they love their naps and that is alright. To be honest, I love mine too! You may be surprised when adopting a senior pet at how smart and possibly already trained they are! Senior dogs end up for adoption for a lot of reasons. Some of those reasons include unforeseen family circumstances. You may find that senior dogs are already housetrained and know basic commands. They are also easier to train to new things because they are calmer and have longer attention spans. Don’t listen to the “you can’t teach an old dog new tricks” saying because it just isn’t true! Senior dogs love to learn! There is nothing sweeter than a senior dog! One of the best benefits of adopting a senior dog is their personality. They have had time to mellow out. You also have a chance to know their individual personality before adopting them! Another benefit of their personality is they have learned that being snappy isn’t the route to go. It is because of a senior dog’s personality that makes them great companions for children, seniors, and younger dogs. Along with basic commands and house training, most senior dogs have already learned not to chew and destroy things. Being creatures of habit, they also understand daily schedules and are easily adapted to yours. On the other hand, puppies are on the extreme end of the spectrum with potty training and teaching them the coffee table is not a chew toy! Anytime you adopt a dog, you are saving a life. Actually, you are saving two lives – theirs and the space it creates for another dog in the shelter! Seniors get passed over on a routine basis by those looking for puppies. Seniors are often the first on the dreaded euthanasia when there is overcrowding or they will live out their lives in a cage in a no-kill shelter. By giving a senior a chance, you’re giving a dog, whose only fault is age, a chance to live out the rest of their life happily with you! Senior dogs can continue to live a happy, healthy life with proper nutrition and regular veterinary care. However, as dogs grow older they require different nutritional needs than their younger friends. 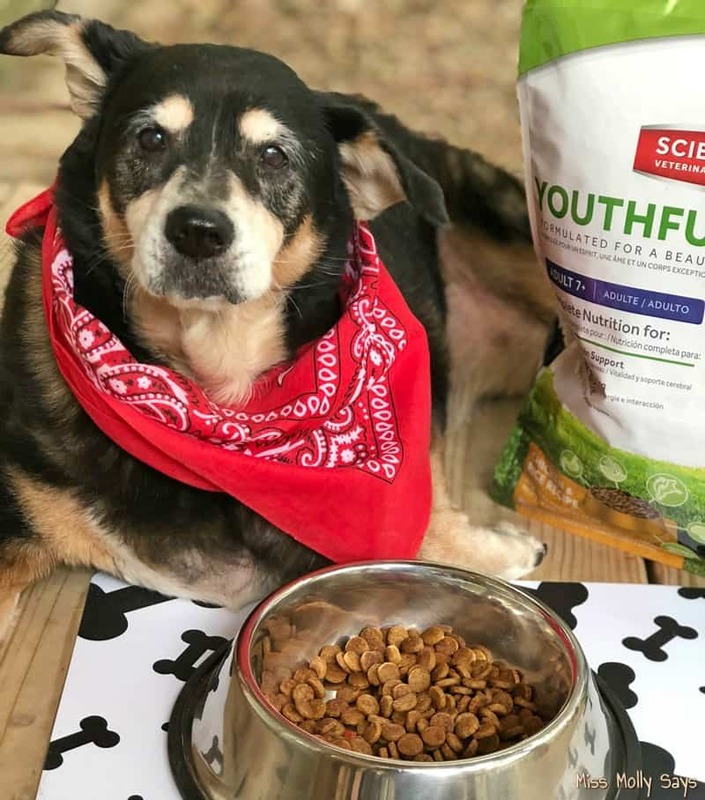 By feeding senior pets a specially formulated food like Hill’s® Science Diet® Youthful Vitality you can help them to live their life to the fullest. 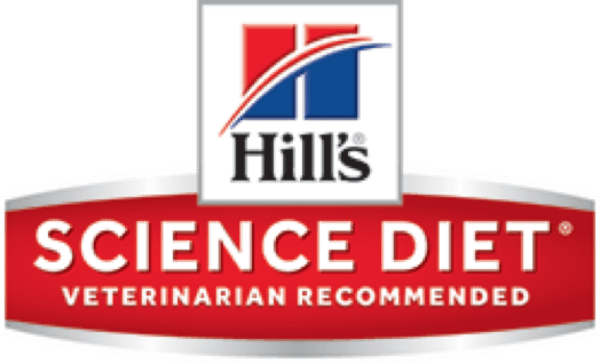 Visit Hill’s Science Diet to learn more about their nutrition. Hill’s® Science Diet® Youthful Vitality is the Perfect Choice! 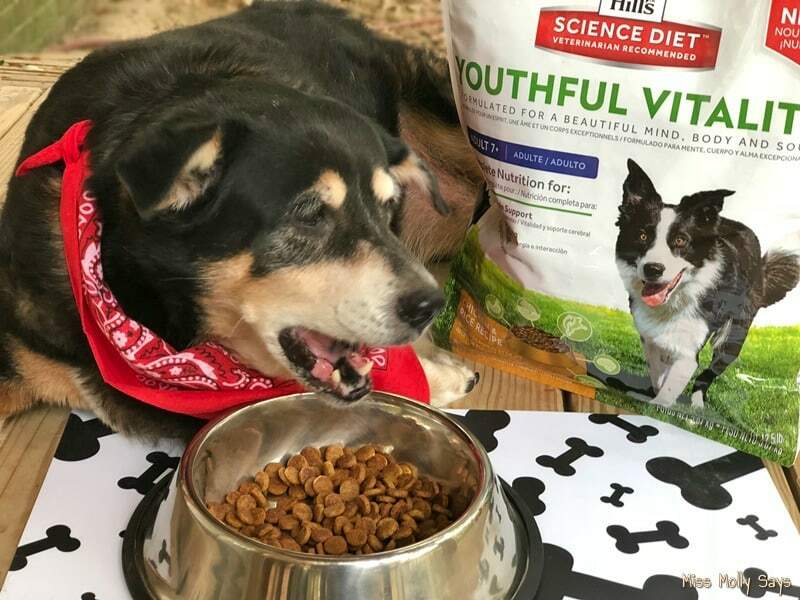 Hill’s Science Diet Youthful Vitality is the perfect choice for senior pets! It can help fight the effects of aging in pets aged 7 and older. 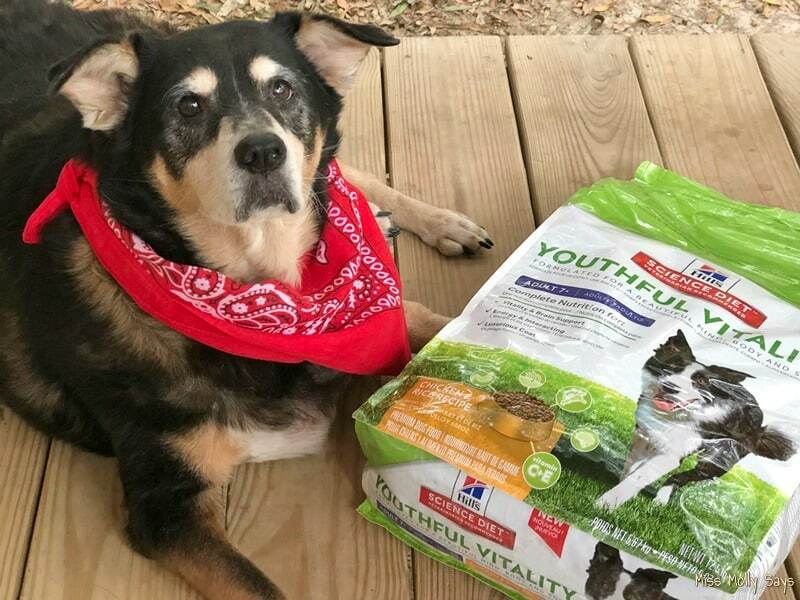 Your senior will love the great taste and you can feel good about giving them a delicious meal specifically formulated for their nutrition requirements. “Mission Adoptable” – the New MUST-SEE Web Series! We are also excited to share with you that Science Diet and Animal Planet are launching a web series “Mission Adoptable”! “Mission Adoptable” is filmed in collaboration with the SPCA of Texas in Dallas and focuses on the plight of older shelter pets that face a difficult time getting adopted because of changes in their appearance or behavior due to the aging process. 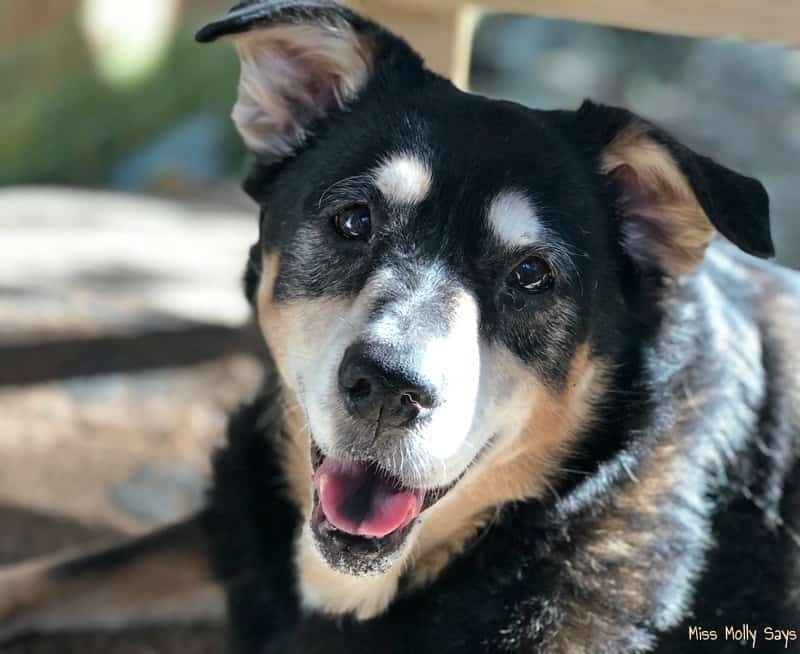 Viewers follow the journey of each senior pet, as their lives and prospects for adoption are transformed through the power of the right nutrition and loving shelter care. Each episode ends in high drama, as two families vie for the privilege of welcoming their new family member home. Be sure and watch the ‘Mission Adoptable’ webisodes and we hope you will be inspired to visit a local shelter and consider adopting a senior pet during Adopt a Senior Pet Month! We also hope you will try Hill’s Science Diet Youthful Vitality and help your seniors fight the effects of aging! Older animals deserve a chance at life too. It’s definitely a thing to consider when adopting. I have senior cats in my household and want to adopt a dog. I am thinking that a senior dog might be the best choice in terms of getting along with my cats. I would love to have a senior dog. I’m a senior and it would be good to have a older “pup” like me! Very nice article and love adoption! All our animals are rescues. I have a Senior Pug and even though the first 6 years of her life were in a cage at a puppymill, she is saved, and having a great life now. Learning to trust humans and being happy. Senior dogs need saved from shelters, they are the most left behind dogs, and they just want to love. I definitely prefer senior cats over kittens or even just adult cats. I also prefer senior dogs as long as they are friendly. I always adopt senior animals basically because for me they are easier to get along with and I think senior cats are cuter than kittens. I’m a cat person, but if I was to adopt a dog it would be a senior. Nothing wrong with an older dog, they are loved and most are more adaptable to new homes. They deserve to have a happy life as well. Thank you for sharing this info. I’ve had both – a puppy and an older dog. Both were wonderful members of our family!! We’ve had different cats’ ages too! If you give and show love, you’ll get it back! I didn’t get rid of my mom when she got old and I would hope my kids wouldn’t do this to us! We’ve had our furry friends until they passed. Senior dogs have so much love to give. We would love to have a dog but right now our jobs keep us away from the house for long hours. Every animal no matter what age deserves a forever home. Yes!! I would absolutely love to bring a senior dog into my home! They are already trained and are so much more calm! I love that there’s food that supports them in the aging process! Good article. Just like humans as we age, it gets a little harder to get around, their joints hurt, they may not be as playful, but they still need, and appreciate, love and care. I would gladly adopt a senior pet. I don’t want to train a puppy. All these are very good reasons for a senior. There are pro’s and cons about senior dogs. But all pets need love! We might need to think about Youthful Vitality for our dog. I love older dogs. They still have so much love to give. Plus you don’t have to train them much. Very interesting post. I lost my dog years ago. I couldn’t bring myself to get another dog. I have a cat now. So amazing.. Dog’s really do make great pet’s and is like a best friend.. This food sounds great for pets..I would adopt an older dog in a heartbeat. right now have a old cat and 8 other cat’s and no dog’s before 7 years ago all we ever had was dogs so this is a new thing cat’s are nothing like dogs other then they like to be petted . I love to resue animals. I only wish I had more room for more animals. You brought up some really good points about adopting older dogs. there are so many benefits and joys of these valuable animals that become part of the family. We’ve always adopted rescue animals for their furever home.